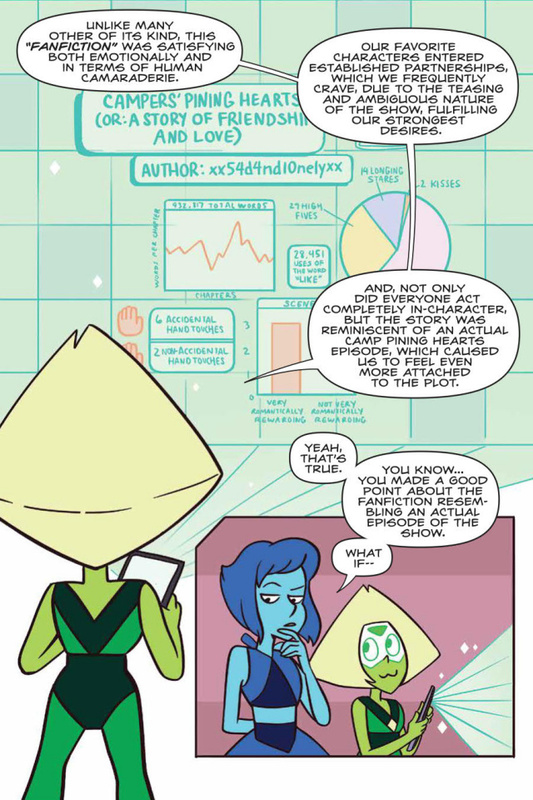 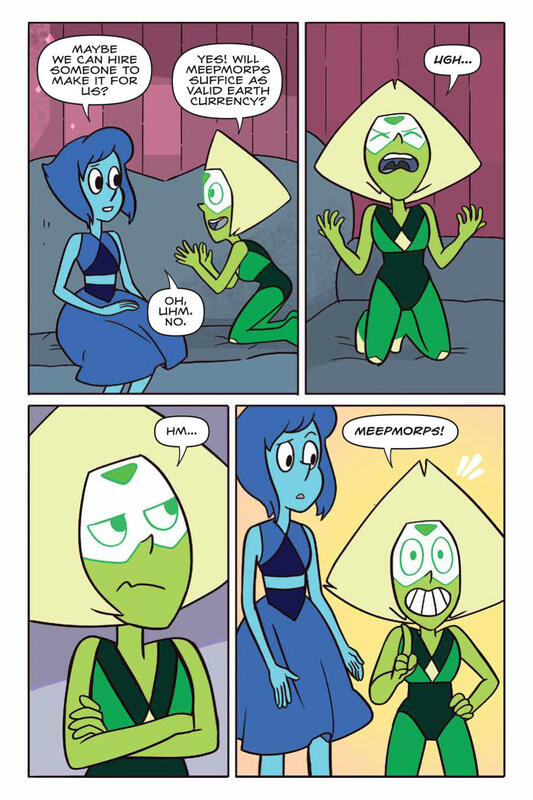 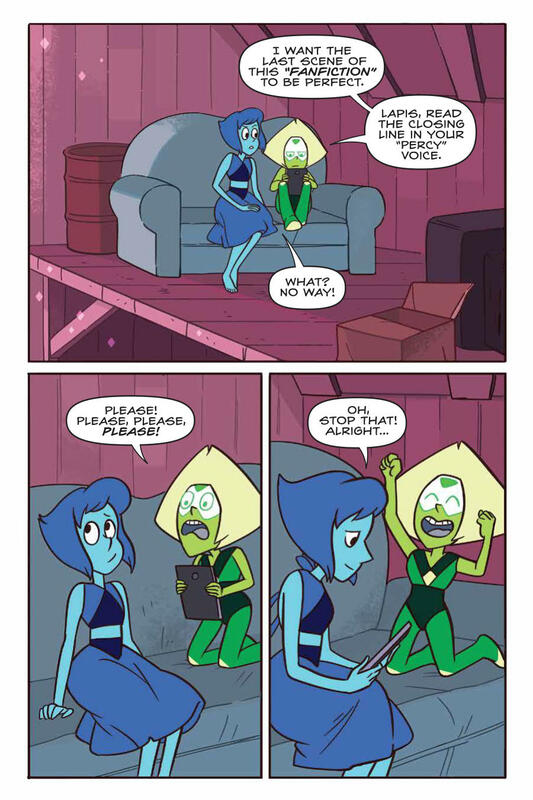 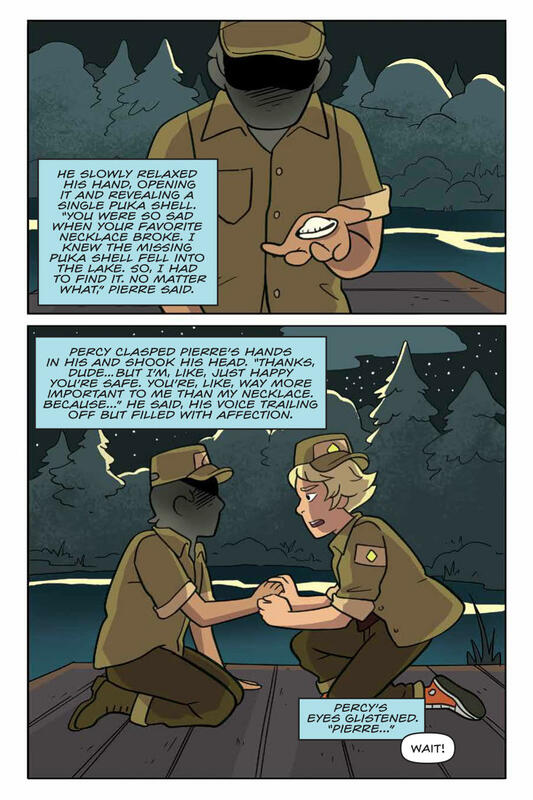 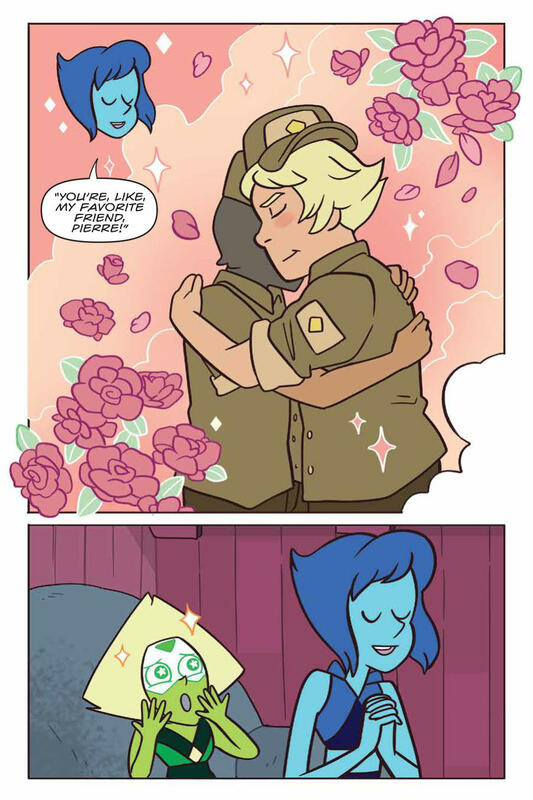 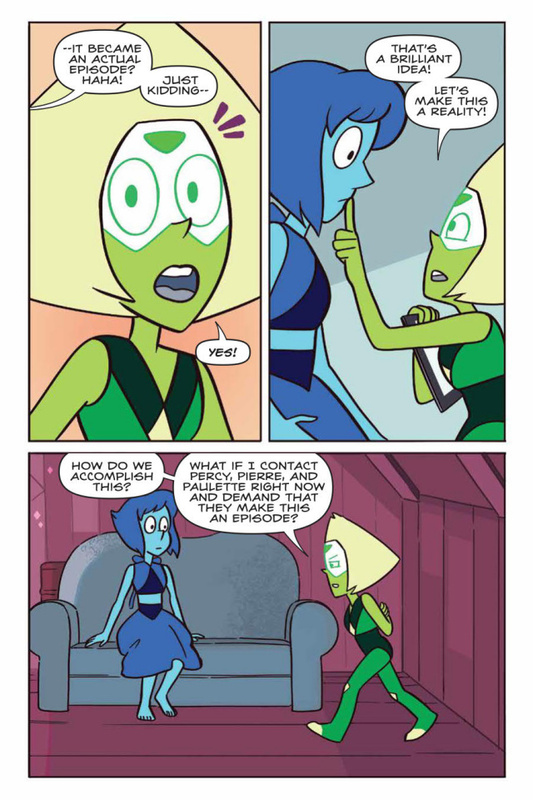 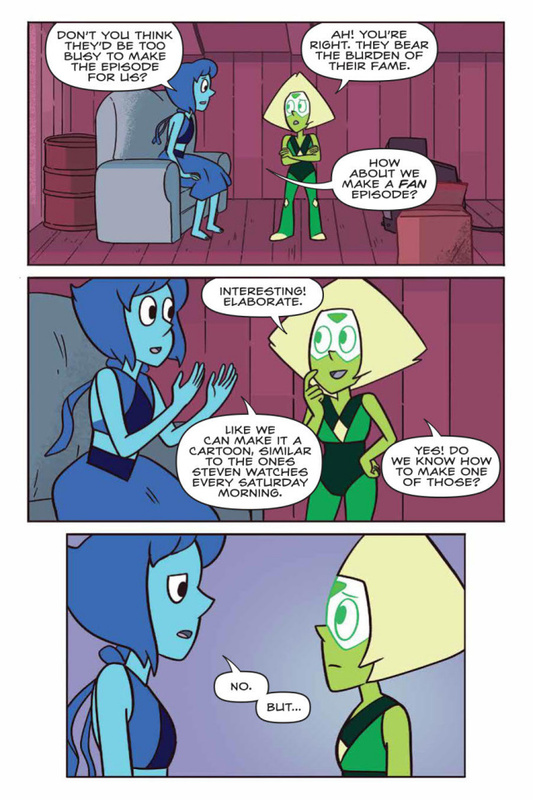 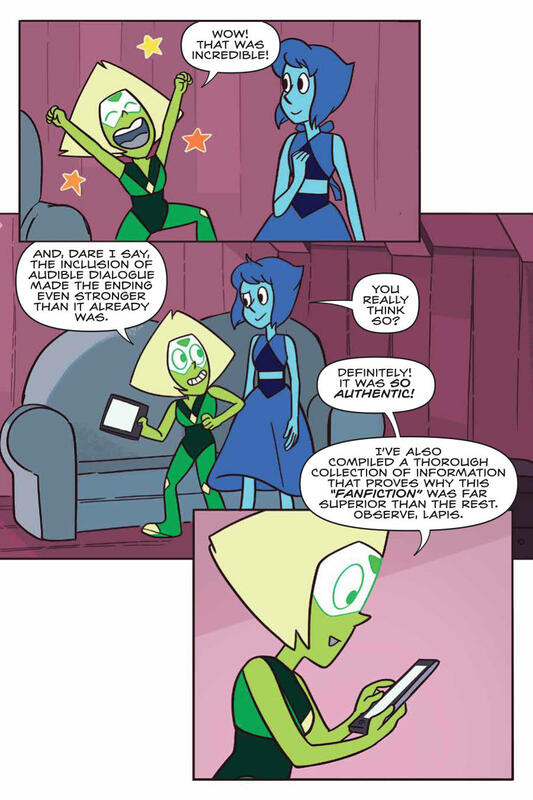 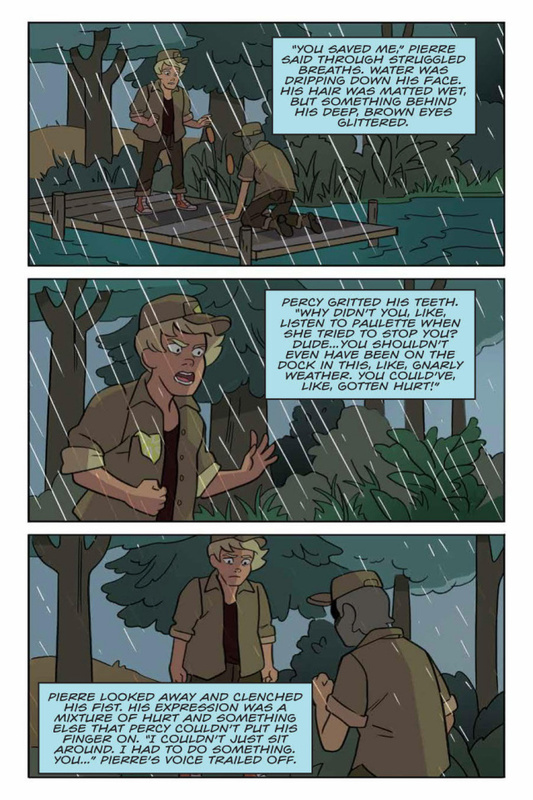 When Peridot and Lapis discover Camp Pining Play fanfiction, they fall in love with Lars' secret story and decide to put on a live performance for Beach City! 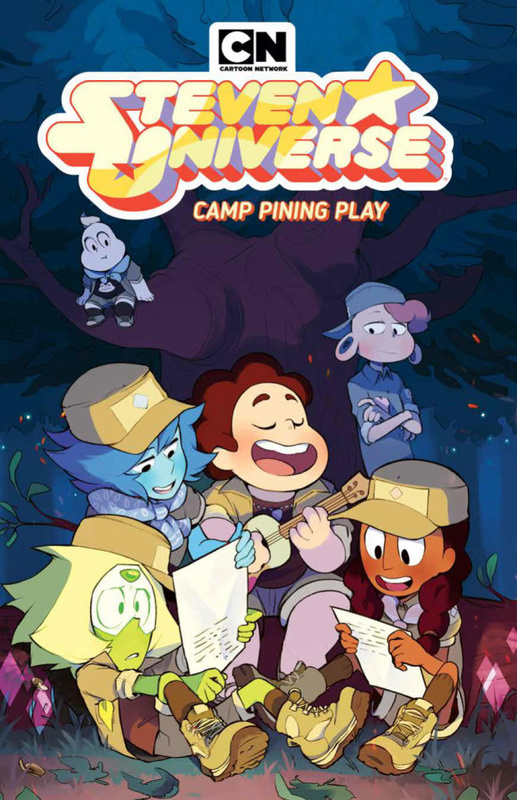 With Steven, Connie, and the Crystal Gems, Peridot and Lapis become true thespians and work together to find a solution when parts of the story remind Lapis of her time with Jasper and jeopardize the play's production. 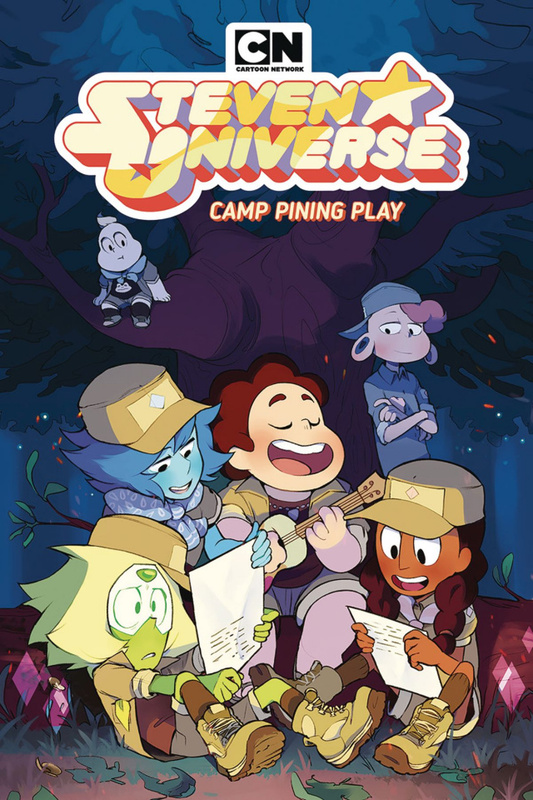 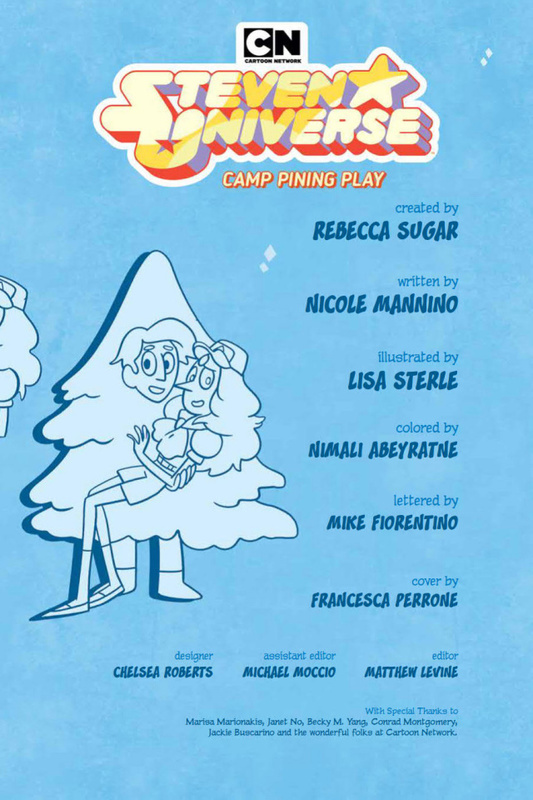 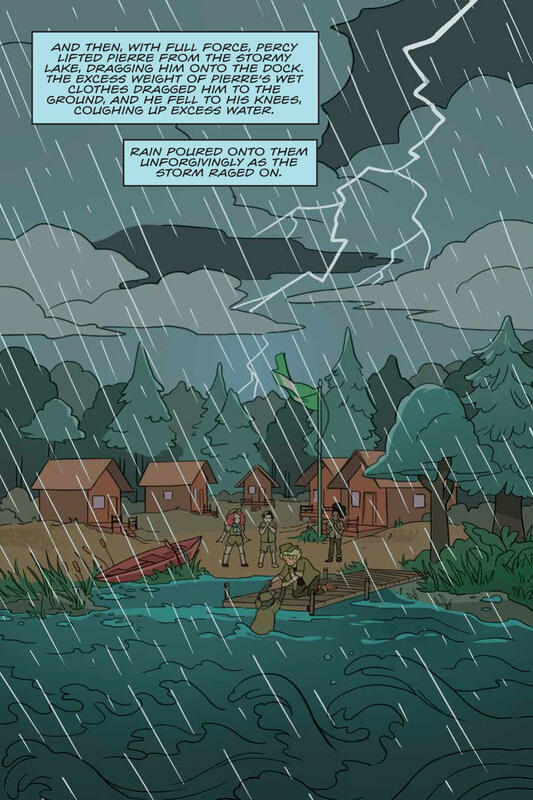 Join writer Nicole Mannino (This is Not Fiction) and artist Lisa Sterle (Long Lost) in this newest Steven UniverseTM story that will prove there's no stopping Steven and the Crystal Gems when the show must go on!